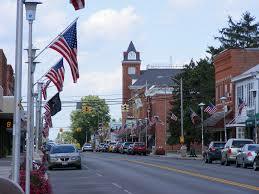 Bluffton is a village located just north of Lima, housing roughly 4,500 people. Bluffton has its own elementary and high school; where the Pirates participate in the Northwest Conference (NWC) in sports. Not only do they have their own secondary school, they also boast Bluffton University. The University is a four-year institution affiliated with the Mennonite Church USA. Finally, Bluffton is also home to many companies: DTR, GROB, Diamond Manufacturing and more. Fun fact: John Dillinger robbed the Bluffton Bank of $6,000 on August 14, 1933.